Your party can be a zone of non-stop entertainment and fun if you are willing to try out unique party themed services like jumping castles. In Sydney, you can get a wide range of these services and a host of Kids birthday party ideas from Jumping Castles ‘R’ Us. Both kids and elderly people will love our castles as they are unique and allows them to be the way they are. In choosing us as your service provider you can certainly look forward to seeing different types of castles. You have the complete freedom to choose one or more depending upon your party needs and budget. We make sure to provide high quality castles that are flexible, strong and innovative. All our castles are inspected thoroughly before they are employed at your place. Our jumping castles are suitable for different occasions. For example, you can have them for birthday parties or corporate events, fund raising events or christenings, etc. As a customer you are free to use these entertainment items the way you like. Why should you hire from us? In choosing us you are guaranteed to receive friendly and efficient service. That’s not all; we provide our services across all suburbs of Sydney. Our experienced technicians will visit your place and will provide free delivery and set up. We will also arrange for take away services once your event gets over. Besides providing you with unique castles, we are also open to providing you with Kids birthday party ideas that you can put to test whenever applicable. 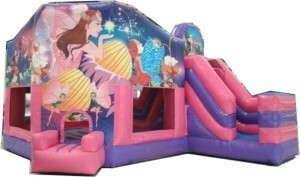 We take a lot of pride in delivering quality jumping castles and other services to you. With several years’ experience behind us, you can trust us to provide you unique and interesting Kids birthday party ideas each time you consult us. We will always look forward to serving you in the best possible way! If you are looking for a wide range of jumping castles hire or want unique kids birthday party ideas, then Jumping Castles ‘R’ Us is the place you need to visit. We provide party entertainment services like no others in Sydney. What exactly is a slushie machine? next post: Quality Marquee and Slushie Machine Hire Services at Affordable Rates in Sydney!